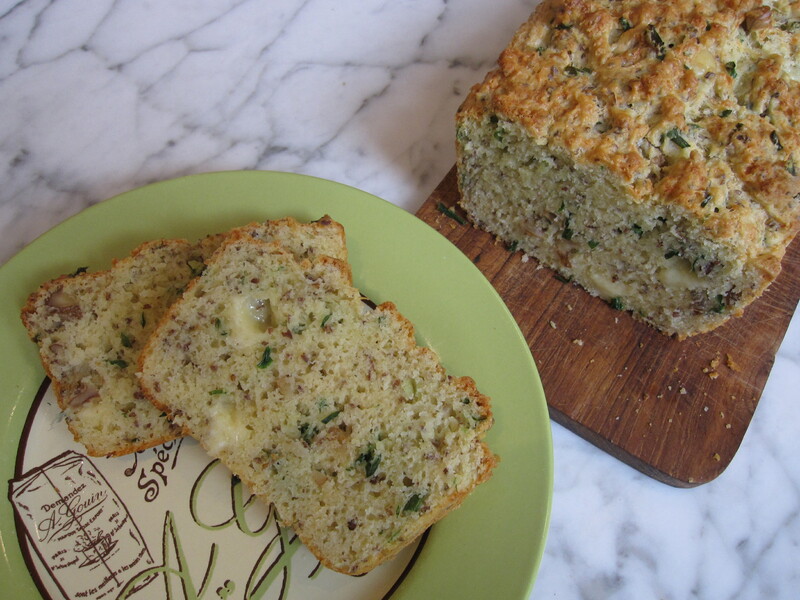 Some recipes are crowd pleasers, and Dorie’s Savory Cheese & Chive Bread (click here for recipe) is definitely one of them. I can’t imagine anyone not liking this recipe. I mean, it’s fresh out of the oven bread, jam-packed with cheesy goodness. What’s not to like? Oh, and did I mention that it’s easy? I mean, when the most difficult part of the recipe is grating up a little cheese, you know you’ve got a good one. I made this to go with a substantial dinner salad one night and we ended up eating the rest for our breakfast the next day. In fact, the only reason I might consider not making this more often, is because there’s only two of us in the house and we polished off that first loaf a little too quickly. Note that this recipe was actually done by the French Fridays with Dorie crew last year and I am just catching up with old posts. This entry was posted in french fridays with dorie and tagged Around my French Table, bread, vegetarian. Bookmark the permalink. Your bread looks fantastic! I had fun with this bread as it really lends itself well to variation. Great post! This is a great quick bread recipe – I’ve made both gluten and gluten-free versions and the recipe has become a standby.